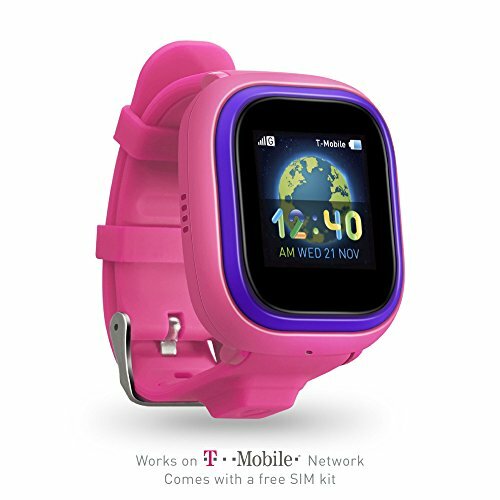 TickTalk 2 is the 2nd generation of the kid's wrist phone with locator. It comes with the newest technology, a more user friendly App and amazing new functions. It allows you to add and track multiple watches under the same account. Our team has designed the TickTalk's interface and build to meet all of the quality and ease-of-use standards that our customers expect and desire. Our setup processes are easy, streamlined, and quick. Our development teams work very hard on meeting customer demands as closely as possible and we are always updating our technologies to increase customer satisfaction. 1. THINGS TO DO: Up to 50 Things To Do Reminders, help parents create routines and tasks for their child. It will show a lovely icon with ringtone on the watch end to remind your child when time is up. It's a fun thing for kids to follow the schedule, learn good habits and time management. 3. LOCATOR: The TickTalk 2 uses WiFi + GPS + LBS 3-way locators to provide the accurate location information for indoors and outdoors. It'll report the current location to the App and update on the map. It comes with 2D and 3D Maps. 4. COMPATIBILITY: The App is compatible with all iPhones and Android cell phones. The watch runs on 2G GSM network ONLY. It's compatible with T-mobile networks ONLY. AT&T, Verizon or Sprint are not compatible. 5. $5 MONTHLY PLAN: The TickTalk comes with a free SpeedTalk SIM Card, no contract, it runs on T-mobile's network. Follow the Sim Card Activation Instruction to activate the Sim and you need to credit the SIM card before using. We suggest the $5 monthly plan with 250 talk, 250 text, and 250 MB of data. If you have any questions about this product by TickTalk, contact us by completing and submitting the form below. If you are looking for a specif part number, please include it with your message.